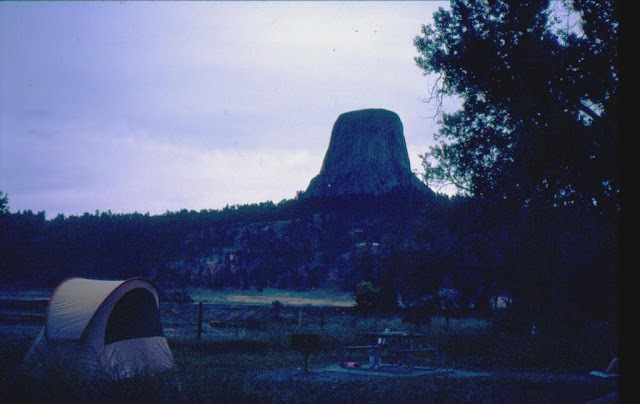 My sister Linda and I took a great "On the Road" trip in 1982, and one of the places we camped (literally or figuratively) was on the grounds of the Devils Tower National Monument, Wyoming. We took several slide shots at different times of day -- this one in the gloaming. There were more prairie dogs than people in the vicinity.